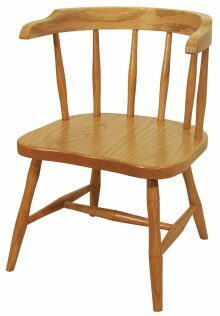 If you need a chair that is specifically designed and built for a small child, consider an attractive solid wood child chair from AmishOutletStore.com. Our collection includes sturdy, stylish pieces such as the child’s acorn chair featuring a distinctive acorn inlay, as well as the unique child’s sunburst chair with the eye-catching sunburst pattern on the backing. Each piece features a smaller size than a standard chair, allowing your child to sit safely and comfortably. Quality is the most important consideration when choosing any piece of child’s furniture — you will want the peace of mind of knowing that it’s built to take the punishment kids can dish out. 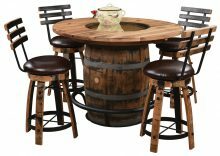 Each chair is made from your choice of rugged, durable northern kiln-dried hardwoods such as oak, cherry and quarter-sawn white oak. 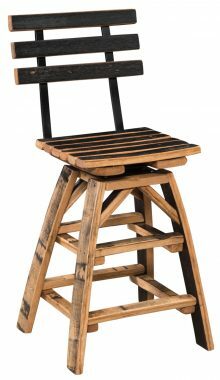 What’s more, our chairs are handcrafted by experienced, conscientious Amish furniture makers who always take the time to do the job the right way. 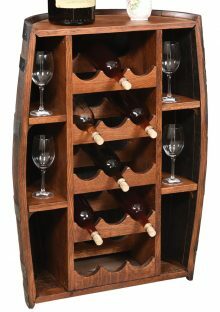 What Makes This Piece Unique? When selecting furniture for your child’s room, you want each piece you choose to be unforgettable. Your child will have fond memories of the room in which he or she grows up, and you want his or her furniture to complement those great memories. 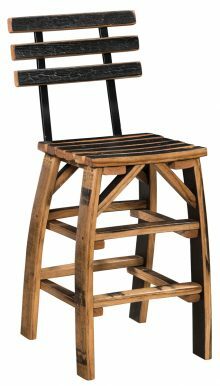 Naturally, when it comes to small Amish wood chairs from AmishOutletStore.com, you want to know what it is that makes them unique. It’s not just one thing. 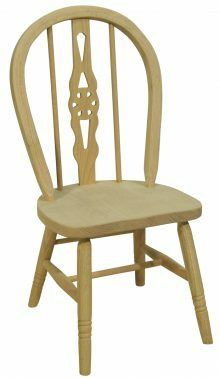 These solid wood child chairs come in a variety of styles, including the Child’s Acorn Chair and the Child’s Sunburst Chair that have their own distinct patterns. 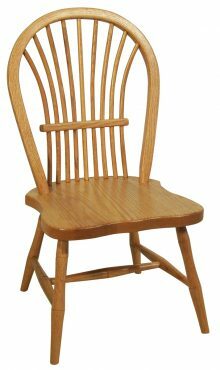 Since every one of these chairs are handcrafted by Amish artisans, no two patterns are exactly alike, so every Amish child chair is unique to each child. 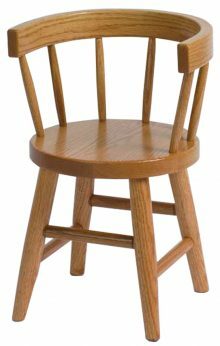 You’ll also find a unique dedication to quality and workmanship in these small Amish wood chairs that you can’t expect to find anywhere else. What Style of Décor Goes Well with an Amish Chair? 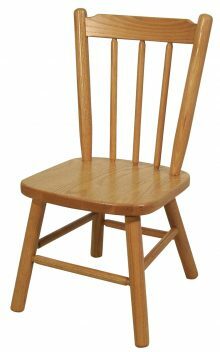 An Amish child chair will work in just about any child’s room. These chairs are extremely versatile, and come from shapes ranging from Bow Chair to Windsor Chair to specially styled chairs like the Acorn or Sunburst, so you should have no problem finding one that’s just the right fit. 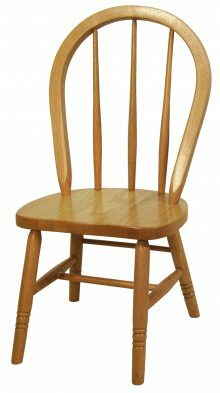 In addition, these quality hardwood chairs come with a variety of stains to choose from, so you can do some customization to really make your small Amish wood chairs work with your child’s room. Can I Mix and Match with Pieces from Other Collections? 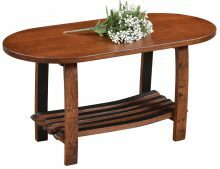 Let’s say you’ve already got some great Amish furniture and you’re looking to add something new and a little bit different. Can you mix and match these chairs with pieces from other collections? Absolutely! We encourage you to do so. Again, these pieces are so versatile that you’re free to mix and match them until you get the look you’re seeking. We’re confident that, with the right combination of Amish furniture, you can create a décor that’s unique to your child and looks great to anyone who happens to view the room. 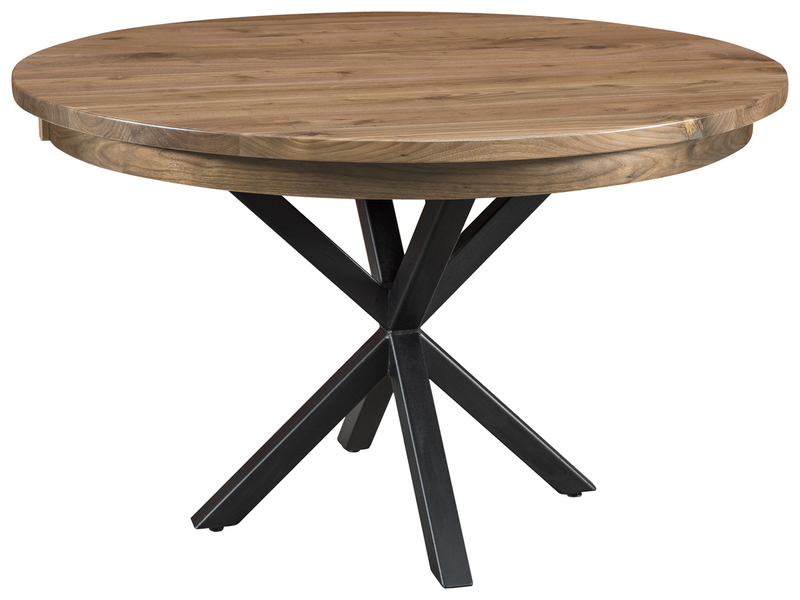 Is This Piece Durable Enough to Hold Up to Everyday Wear and Tear? “Every day wear and tear” means something different when you’re talking about a piece of child’s furniture. Children tend to be a little rougher on everything. 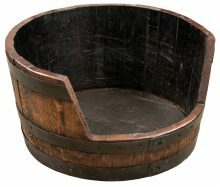 Nevertheless, Amish furniture from AmishOutletStore.com is up to the challenge. While we still hope you will teach your child to treat his or her small Amish chair with the care and respect it deserves, these chairs are built to last. The Amish craft these chairs with not only aesthetics, but also durability in mind. 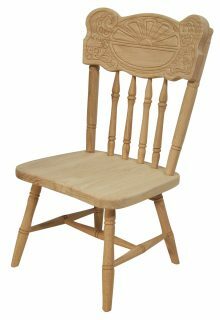 With some basic care, we expect your Amish child chair will last until your child outgrows it and beyond. At that point, you’re welcome to pass it on to another child, your own or a neighbor’s, although, with the great prices you’ll find at AmishOutletStore.com, there’s a good chance they’ll want to have a brand new Amish child chair of their own. Parents of small children are often on a tight household budget. Our wide range of discounts will make purchasing your child chair as budget-friendly as possible. Order your chair today and you’ll get up to 33 percent off the regular retail price. We also offer a discount for large orders, which provides a cost-effective solution if you’re purchasing multiple furniture pieces. 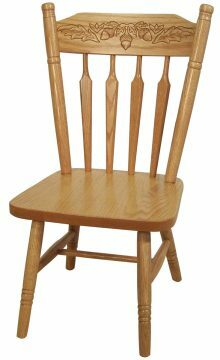 Take a closer look at our collection of handcrafted solid wood child chairs and order one for your home today!